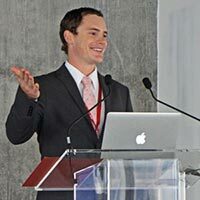 Chris Little is the Founding Principal at eleV8 Builders. He has been intimately involved in the new residential construction industry for over 15 years. He is a 2nd generation homebuilder and has an extensive background in building science. Chris began his career in construction as an apprentice carpenter and superintendent for his Father’s homebuilding business. He then entered a specialized field of building diagnostics and forensics. Throughout his career, Chris has worked closely with large national, regional production and influential high-performance homebuilders around the country. Most recently, Chris held an Executive management position with a global Fortune 100 company specifically in the building materials sector. 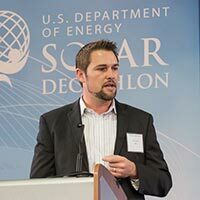 Chris is an accomplished public speaker and recently was honored to be the keynote speaker for the 2013 U.S. Department of Energy Housing Innovation Awards. He has held building industry symposiums around the country and educated thousands of construction industry stakeholders on innovative strategies to improve building performance. Chris has served on numerous building industry advocacy boards and is very active with the academic community to support the development of curriculum that educates the next generation of builders and designers. Monika Little is the Chief Financial Officer for eleV8 Builders. Her background is in finance with years of experience in the banking industry as a Senior Vice President. Monika's expertise is in real estate and development. She helps our clients evaluate the best financing options for all stages of the process, this includes: purchasing the lot/land, securing an interim construction loan, and the permanent financing/mortgage. Monika serves on the Risk Management Association of Central Texas Board of Directors which is focused on the banking industry where she is able to maintain her extensive network and local banking relationships. Monika enjoys giving back to her community through volunteer work and serves on various boards and committees. She is very involved in Commercial Real Estate of Women and was the Chair of CREW Careers for The Ann Richards School where she spends time mentoring young women. Monika is a sought after Expert for advisory boards, industry forums and community groups. She graduated with honors earning a BBA in Finance. 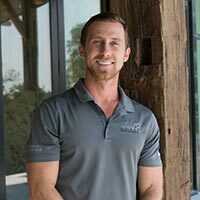 Jason Selgert is the lead Project Manager at eleV8 Builders. He is a 3rd generation carpenter and has been in the construction industry for 13+ years. He is a true craftsman with an incredible eye for detail. Jason’s hobbies include fishing, wake boarding and staying fit. Andrew is an architect with a consulting background revolving around environmental design and building science, with a specific focus on energy modeling and high performance design detailing. His Austin based design firm, Andrew Wagner Architects, has designed luxury residences across the country. In collaboration with eleV8 Design+Builders, we specialize in delivering a high quality product with first class service.